I have decided to bring out my personality in the blog with a shift to more things geeky! 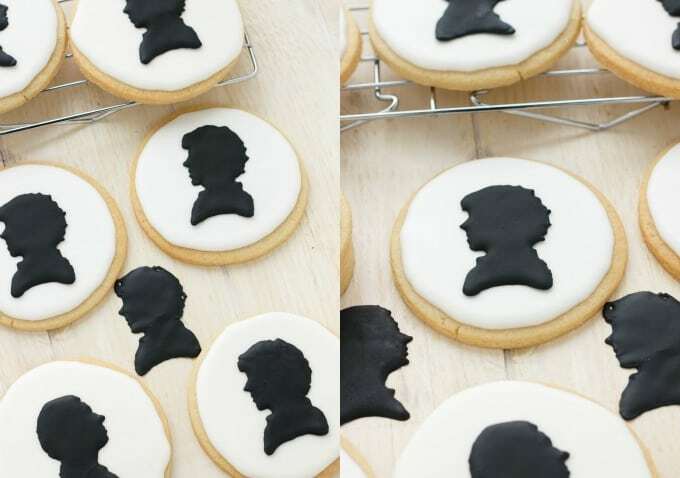 I bring you my first Cookie Geek project: royal icing Sherlock cookies! Cookie Geek?! What the heck is that?! Okay, so I have been thinking for some time how to make my blog “me.” Many food bloggers stick to simple, easy recipes that can be completed in 30 minutes or less. I like these type of recipes, too, but I often find myself making complicated recipes because 1) I like to cook and 2) I eat what I want to eat, so if I want a risotto at 7 PM at night, that means I am making a risotto! Finding a niche in the food blogging industry is important, and while I focus on both baking and cooking, I often find it difficult to say what my niche is. To help fix this “issue,” I plan to focus more of my personality into the blog. That means more video games, more books (I love my classic literature!) and more geeky/nerdy ideas relating to food! Yay! 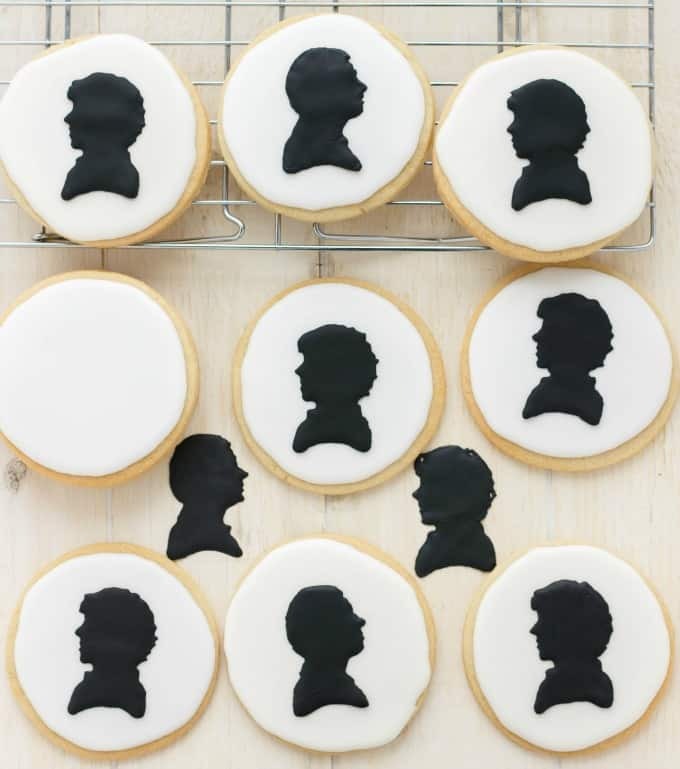 To introduce my new tradition, Cookie Geek, I am bringing you some royal icing Sherlock cookies. Many will know I am referencing the BBC TV series, but this project can easily be shifted to the work of Sir Arthur Conan Doyle. 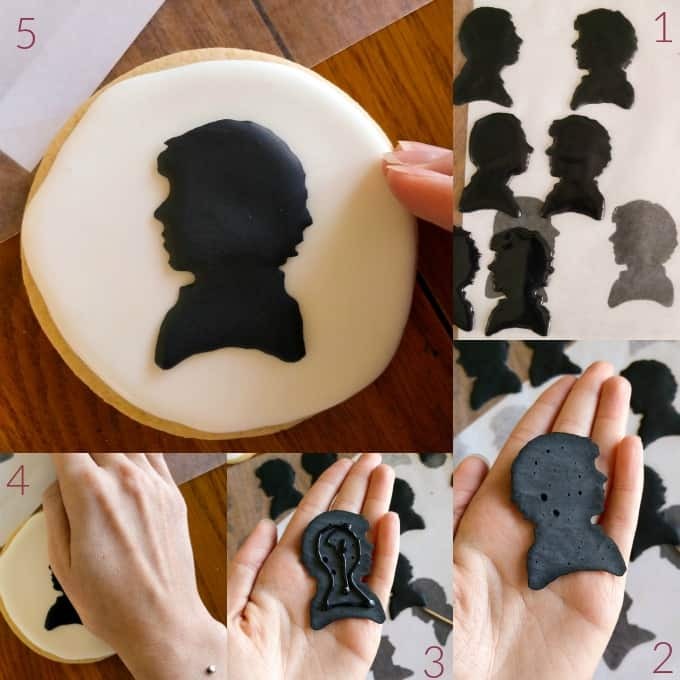 I was actually inspired by this idea from Kaisha Bakes and her traditional Sherlock Holmes Silhouette Cookies. 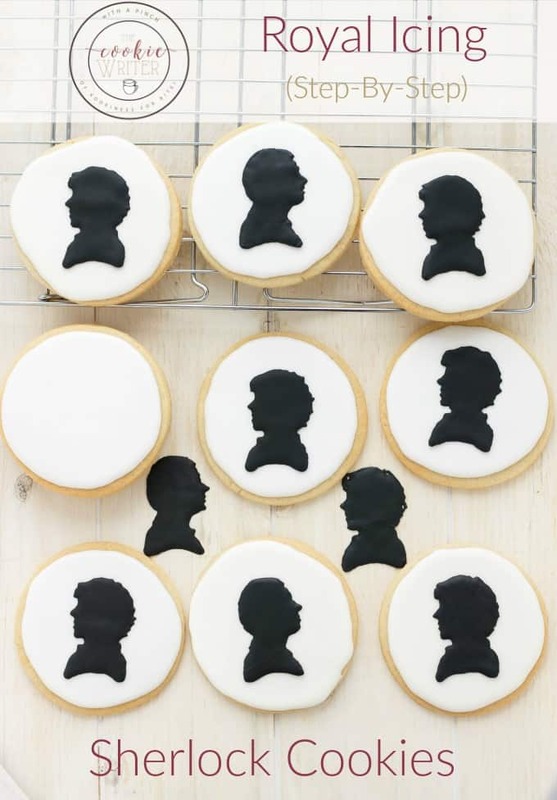 Since I am no artist, and I sure as heck need to work on my royal icing skills, I decided to stay casual and create these Sherlock cookies using the transfer method. I did not take step-by-step photos per-say, but I think I can explain the gist to you without making it sound overly complicated! Print off your silhouettes (found here) and adjust the size according to your cookie. Place print under wax paper and tape down so your transfer doesn’t move while you work. Using your prepared batch of royal icing (I like Sweetopia’s but I omit the extra cream of tartar,) adjusted to the right consistency (also a great tutorial found here,) pipe out the outline of ONE silhouette at a time. I used a 1s tip to begin with but moved up to a 1 and 2 later on. Whatever you feel comfortable with. Fill the inside of outline and use a toothpick to really get the fine details (such as nose and lips.) Allow to dry overnight for best results! Some people use fans and such but I just allow mine to air dry. Carefully remove royal icing Sherlock and Watson. Flip upside down in your hand. Gently place onto prepared cookies (again waiting overnight or 24 hours for the cookie to dry first before doing the transfer!) Press down gently to help it stick. Allow to sit and harden before serving! Sit back and enjoy your creations! Oh, and my favourite sugar cookie recipe can be found here! Cookie Geek is a project created by The Cookie Writer that brings together all things geeky! The creations will not always be cookie-based, but rest assure I will try and keep the projects simple in respect that you should not have to buy special tools such as custom cookie cutters. Feel free to share what creations you would like to see be a part of Cookie Geek! These are gorgeous cookies. I am a huge mystery book fan, like Sherlock Holmes. These would be fantastic for a book party. Good for you for adding what recipes make you happy! And these cookies?! Too cute! These cookies definitely have personality! Love them. I could totallly see these at a book club meeting too! My family just finished watching the Sherlock series on Netflix. Those cookies are great! I am in awe of the amount of work it must have taken to cut out each one! Thank you, Kristen! And isn't the series awesome?! Stunning! Is it bad for me to say that my favorite Sherlock is Robert Downey Jr? He's the sexiest, and funniest! This cookie is mind blowing and your skills are awesome!! Whoa, whoa, I have to agree that Robert Downey Jr is one handsome man, so no need to feel bad! I for one can completely appreciate your geek out cookies. The content AND the look are STUNNING! You are very talented. Your cookies are truly amazing...I am in awe! 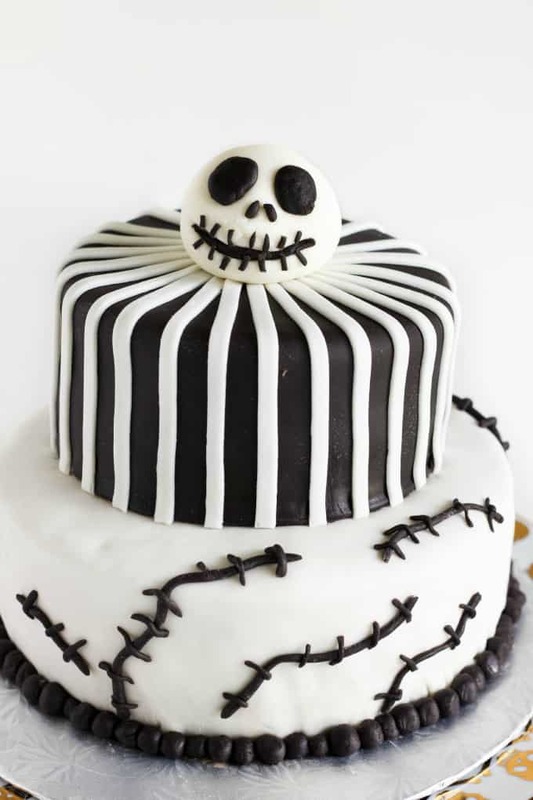 I am not much of a baker but I can really appreciate those that have that talent! And I agree...it's important to insert your personality in your blog. There are lots of us out there...the personal aspect is often what makes me read vs not read. These are so great! I totally agree - finding a niche is tough. I love your plan! These are gorgeous! So creative!